There should be more dancing in childhood cancer. 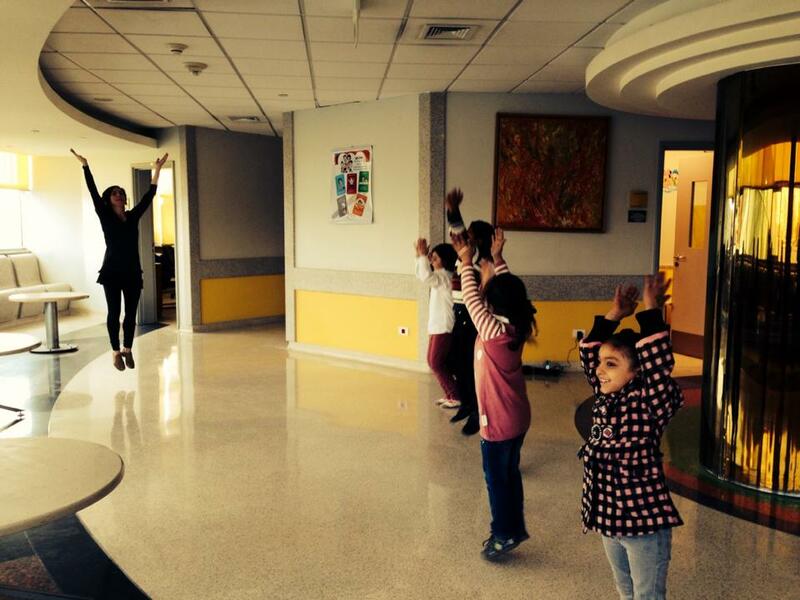 If you know any dance educators or teaching artists, encourage them to volunteer at their local children’s hospital. If they are nervous at all, or not knowing where to start, share this post with them. In June 2013, I wrote about my advice for leading dance experiences with children with cancer. You can read the details of Part One here. 57357 Children’s Cancer Hospital Egypt. Photo by Mohamed Radwan. In addition, there are a few practicalities that might help you. So here is Part Two. -Meet with the nursing staff and Child Life staff quickly before the class. Tell them we will have an expectation that everyone in the room participates. No one sits out. Patients, parents, nurses, volunteers, siblings, doctors,… Ask them to help you encourage everyone. And it is okay to participate sitting and just dancing with your arms and head. -Try to stay away from any music or movement choices that are gendered or well-known. This helps facilitate a sense of inclusivity and common ground. Remember that just outside the comfort zone is the growth zone. Maybe save Disney for the very end, for example. You will probably have participants of different ages. -Make sure you ask if about the policies for documentation of the children and if you can have any of the pictures or videos. -Always offer variations / modifications for those with wheelchairs or crutches. Include intricate and interesting arm patterns in your choreography. I also get much inspiration and ideas from Candoco Dance Company and from Wheelchair Dance Associations such as American DanceWheels Foundation. But remember you will also have dancers with crutches, dancers with IV poles, dancers with headaches, dancers with a slight limp on their left side, dancers with full mobility, and dancers who cannot jump or skip or bend to the floor. All are welcome to make the dance their own. -Realize that while some of the dancers may be in remission and coming to the hospital for follow-up care, some dancers will be post-op, and some of the dancers may be in Palliative Care or coming to the end of their treatment because modern medicine has failed their case and they will be dying of their cancer. This is a fact for many you may meet. But no matter how long you will be dancing with them, dance with as much joy and attention as you can share. 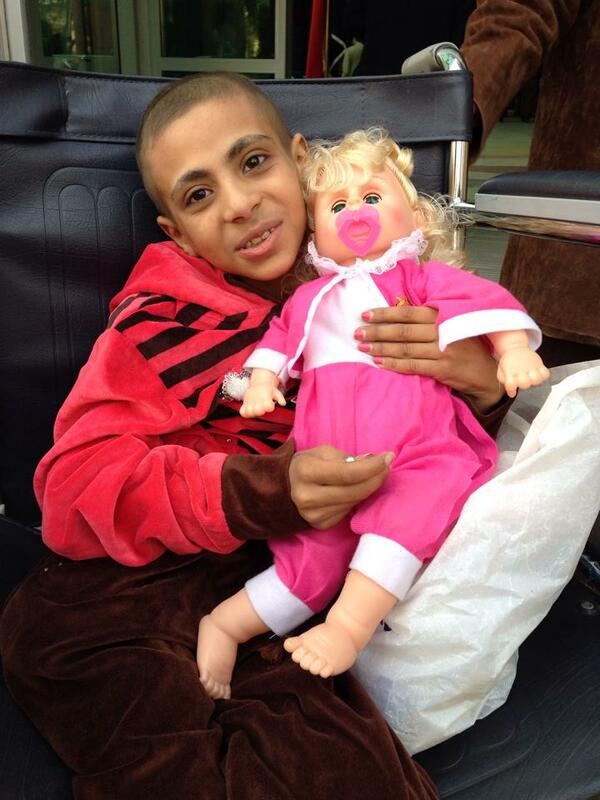 A beautiful soul and patient at 57357 Children’s Cancer Hospital Egypt – Palliative Care division. -Encourage circles but not holding hands (due to immune deficiencies). 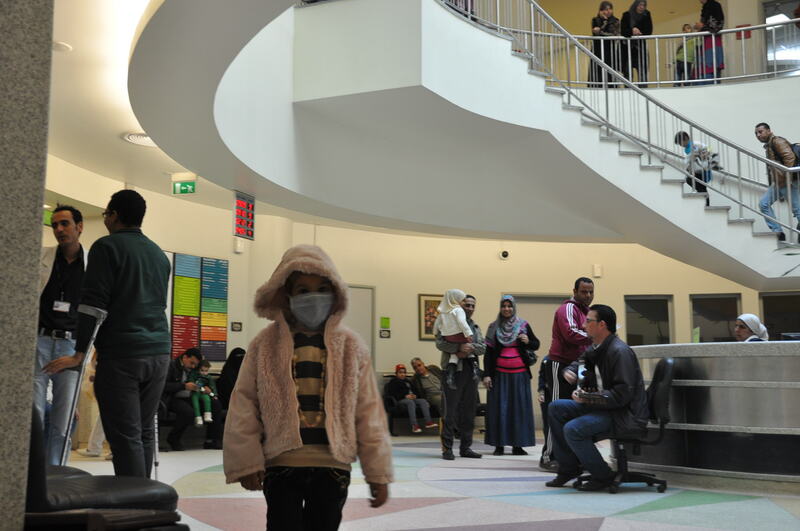 If you feel you may have the beginnings of a cold or flu bug, it is more than fine to wear one of the masks provided. -Include many cross-lateral movements, knee lifts for core strength and stabilization, and moments of balance and stillness. Use of bean bags and scarves is also a great idea. Remember that participants select and return their props one-at-a-time. -I usually now do a “shake out” where we shake out the cancer wherever it is in your body, to different counting sequences. Then we squeeze it, tap it etc (like tactile in Braindance). Finally we pour out the cancer, then feel like it is floating out. Other than that, cancer is not mentioned much. Remember that you a facilitating community dance, not dance movement therapy. -Each session should be about 40 minutes to an hour depending on their energy levels and the surrounding environment. 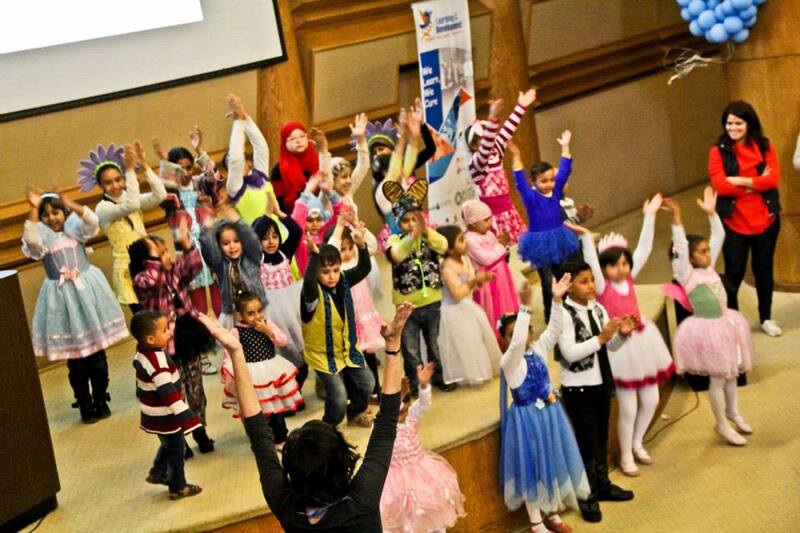 -Consider themed dancing sessions when everyone dresses up and the music corresponds. For example, 80’s rock and roll, super heroes, 1950’s sock hop, around the world (be careful to check for ethno-sterotyping), story ballets, Toy Story, and the four seasons.